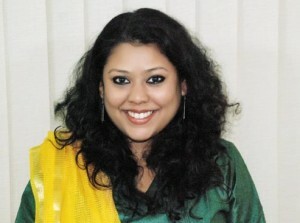 Aditi Vyas is a Technical Specialist at ICRW’s Asia Regional office. In this capacity, she manages and coordinates the Delhi Chapter of the Plan-It Girls program. The program is designed to empower 8000 adolescent girls in Delhi with life and employability skills through a holistic, eco-system approach. She also managed the Planning Ahead for Girls’ Empowerment and Employability (PAGE) program, which focused on working with girls ages 15-17 from low-income communities to equip them with the necessary skills and open up opportunities for life and the labor market. She brings over eight years of experience in thematic areas of gender, adolescents and empowerment, and education Her areas of expertise are program implementation and management, program design, research, and communication. Through her work, she has been involved in proposal writing, developing data collection tools, conducting qualitative research, qualitative data analysis, analytical writing, training of trainers and developing a life-skills curriculum aimed at adolescent girls. Aditi’s post graduate degree was in History of Science, Medicine and Technology from the University of Oxford under the Wellcome Trust Fellowship program. Education: Aditi earned a post graduate degree in History of Science, Medicine and Technology from the University of Oxford under the Wellcome Trust fellowship program. She also has a Master’s in Modern Indian History from the Jawaharlal Nehru University and an undergraduate degree in History from Delhi University.